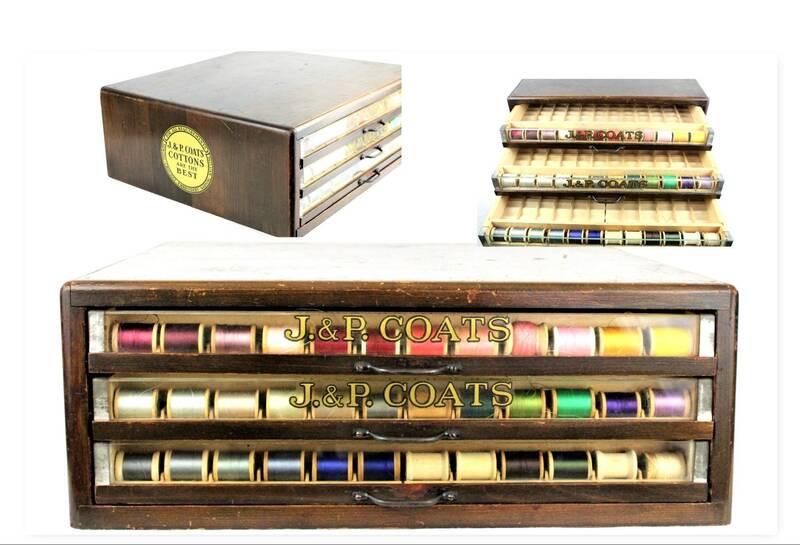 We have for sale a fabulous antique J & P Coats thread spool cabinet. 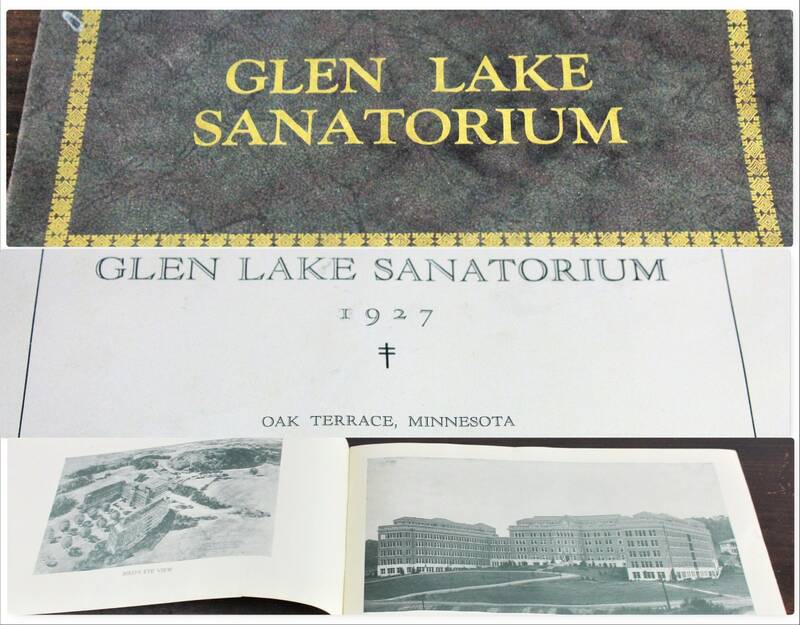 It was acquired from the Glen Lake Sanatorium in Minnesota and comes with a BONUS 1927 booklet showing various places and people in the Sanatorium. 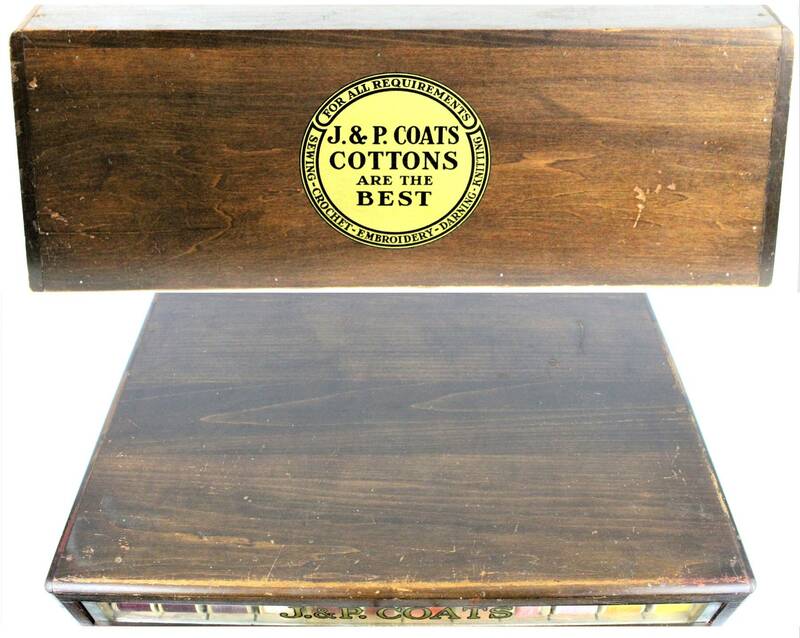 Made of all wood construction, this delightful mercantile display cabinet has three sides that have the classic 5” J & P Coats decal. 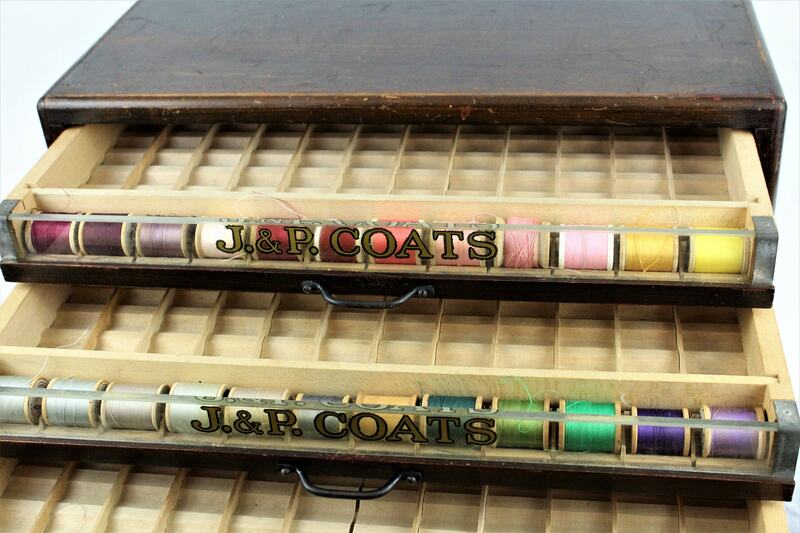 Two of the three drawers have the original J & P Coats decal. The third drawer glass does not appear to be original as it doesn’t have the decal and is of thinner glass. All three metal handles are original. There are wooden pieces that section off rows and there is only one missing in the bottom drawer which is very rare for a piece this old. 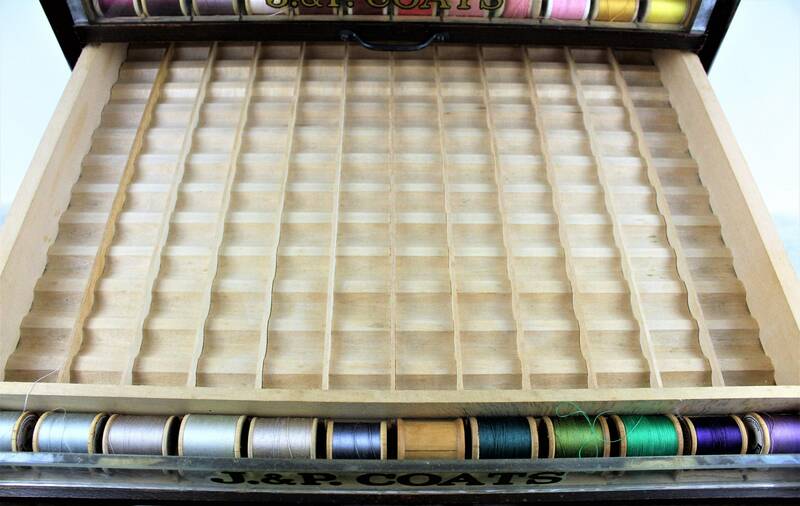 This storage cabinet holds 180 spools per drawer (12 across and 15 deep) for a total of 540 spools! 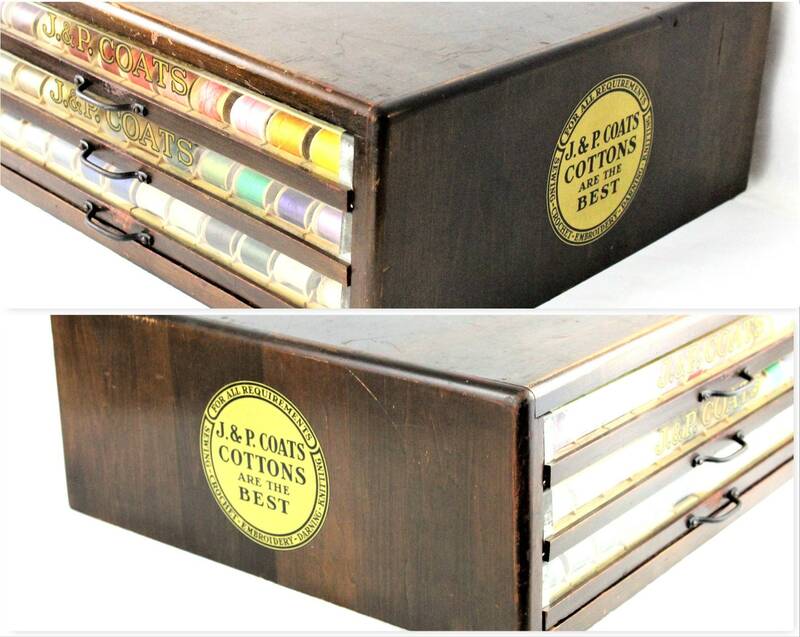 Spools in photo’s not included in sale. It is a very nice piece in good vintage condition. All drawers pull out freely. 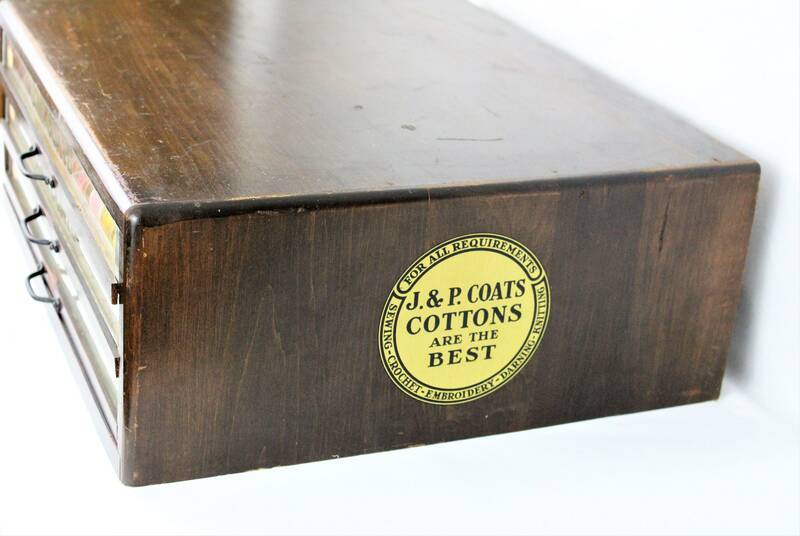 There are scuffs on the wood consistent with age that add to the authentic charm of the piece. 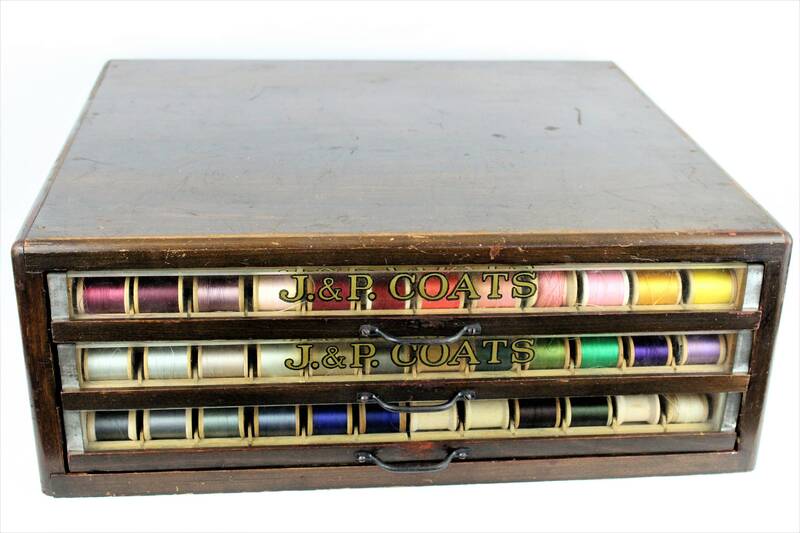 This would be a fabulous purchase by or gift for a seamstress, sewer or tailor. 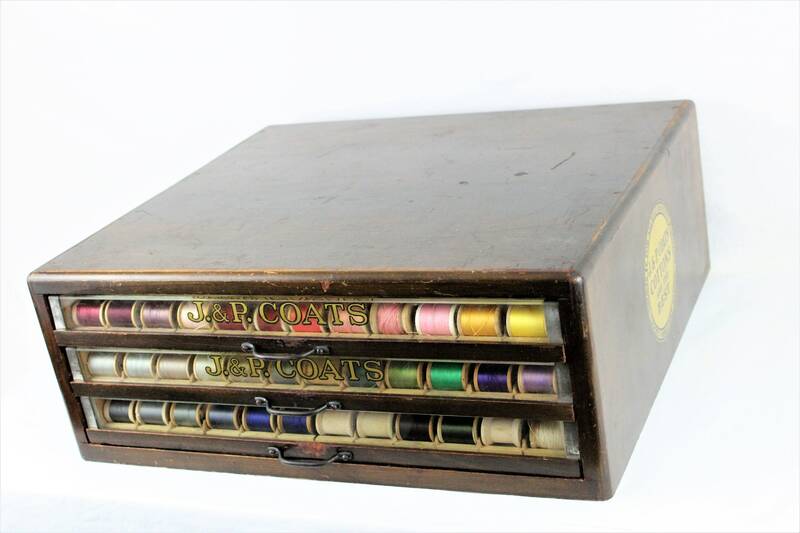 Could also be used to store and display jewelry or small collectibles. Measures: 20” wide by 17” deep by 8” high. 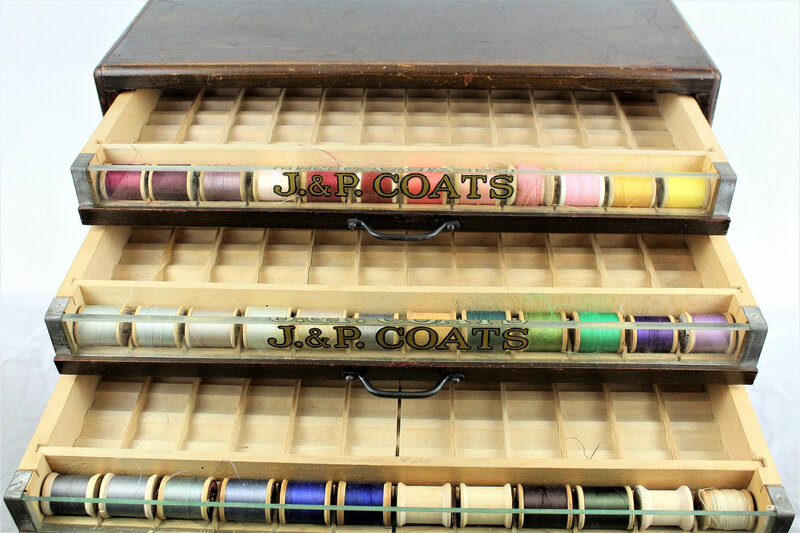 Each thread slot can hold a spool up to 1 ¼” tall. Condition: Good vintage condition. Wear is consistent with age and use. **Please see all photographs as they are part of the description.